Its a good week for HR professionals looking for career opportunities that have social impact. Many tech startups are having a tough year as they are faced with the reality checks about the diversity (non-diversity) of their teams, (basically too many white dudes). Well, this week, a few companies are doing something about it; they’ve created positions for Head of Diversity. I’ve included the job listings below, but the description included are my own. I’m not affiliated with any of these companies. Also, all of these positions are located in the San Francisco area. I am personally encouraging all of my black, latino, queer and trans peeps in HR to apply. If you are interested in any of the positions below, but have doubts or hesitations about applying. Please comment and tell me why. 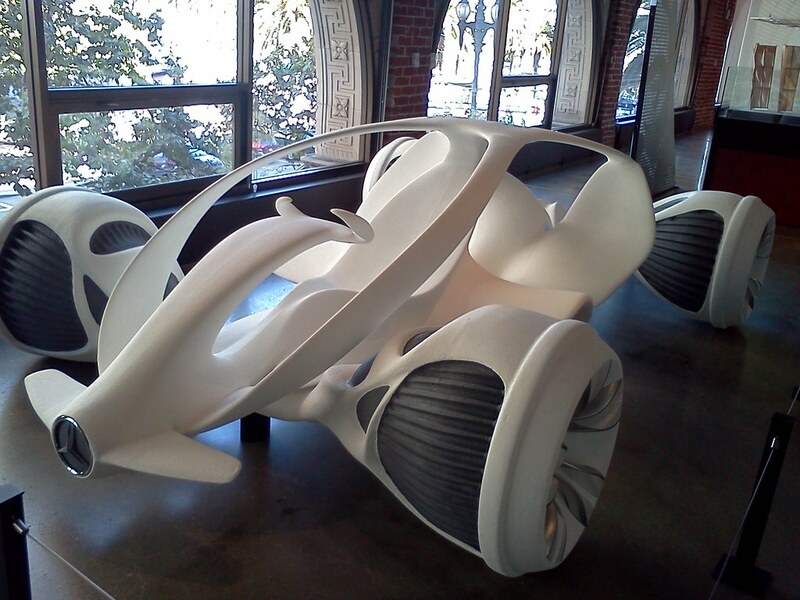 Conceptual car design at Autodesk Gallery. Picture by Axel Feldheim. Autodesk makes design software. Designers, engineers, and inventors use their software to design and build everything from cars, buildings, bridges, and more. Well, the cool folks at Autodesk want you to help them be cooler. They’ve created a new role and are looking for someone to help them assess what’s really going on, help them improve, and create new programs to attract and retain diverse folks. Find out more here. If you haven’t heard of Airbnb, then you’re missing out on one of the most popular and affordable ways to travel. Airbnb connects travelers to unique accommodations across the globe. These accommodations are often someone’s personal home or vacation house that they rent to you during your stay. I’ve personally used Airbnb for the past two years when traveling and each time had a great experience. Airbnb is looking for a head of diversity and ‘belonging.’ They’ve built an awesome product, now they need your help to build an awesome team, so that they can build better products. Airbnb self-describes this position as a ‘big job.’ So, if you’re looking for the challenge of building a diverse company and down with enjoying the perks of working for a travel company, check out the position here. To be honest, this position is a bit harder to sell than the previous two listed positions. Dropbox’s announcement of this role comes after some bad press about a previous employee’s experience there as a black women. (Why Silicon Valley Is Failing Miserably At Diversity, And What Should Be Done About It) However, one of the reasons, I am including this position is because I am an advocate for change. The right person for this position (and others listed) should understand each companies current demographics and how that may play in the current company’s culture. I have no insight into Dropbox’s current work culture. I don’t think you have to be the Joe Clark of HR, but you should be up for a challenge. I also think succeeding after a big challenge is one of the most rewarding feelings. Specific details on the position can be found here. This one is not really a diversity manager role, but the position has diversity and inclusion baked into its core. Kapor Capital is an investment firm located in Oakland, CA. They’ve invested in over 60 startups and together with their twin organization, the Kapor Center for Social Impact, have pledged to invest $40 million dollars to give underrepresented minorities a chance at becoming tech entrepreneurs. They are looking for someone to work with the companies that they’ve invested in, (including Uber, LendUp, Pigeonly), to increase each companies’ chances of success. According to the job description, this includes helping companies to 1) create a welcome and inclusive environment for their employees, 2) achieve a high degree of social impact, and 3) generate positive financial outcomes. (Whew! That is a lot) What the job post doesn’t mention is the amazing team that you’ll be working with. Aside from the known legends Mitch Kapor, Freada Kapor Klein and Ben Jealous, you’ll be working along side a passionate and diverse team excited to make a difference. (Note: I have many friends working here and can personally attest to their excitement about the work that they do) Details on the job position are found here. I want to write more posts like this, and include positions from around the US and from various fields. If you’re interested in more posts like this one, sign up for my tiny newsletter at https://tinyletter.com/hadiyah. I promise no spam, only the good stuff. Reblogged this on destination: unknown. super dope. thanks for these. also I have a question. Since I have 8+ (more like 15+) years of being a “Black Man in America – 24/hrs day – PRO BONO” : do i qualify for all of these? Thank you so much for this post! I recently started a “female & diversity executive search firm.” There are so many companies looking to improve their lack of diversity, but unsure how to go about it!!! The demand for diversity is overwhelming.